The Veterinary Emergency, Urgent Care and Referral Clinic of York Region is a Veterinary Emergency Clinic in Newmarket, Ontario. We are a fully equipped hospital that is available for all emergencies you may encounter with your pets. We provide Emergency services for all pets in York region and surrounding areas. As medical emergencies are never anticipated, we are available and fully staffed 24/7 365 days a year, including weekends and holidays. No appointment necessary. Our specially trained emergency doctors and support staff are available to provide treatment for all medical emergencies! 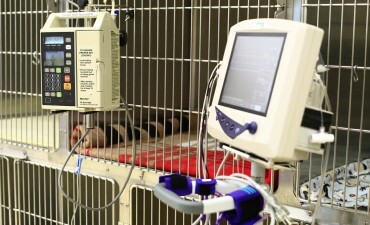 Including, emergency and critical care, Canine Blood transfusions, after hours surgical procedures, Computed Tomography (CT), Ultrasound , 24/7 hospitalizations and much more.